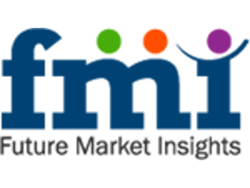 Future Market Insights includes new market research report "Global IoE (Internet of Everything) Market to Witness a 16.4% CAGR from 2014 to 2020, Driven by Proliferation of Connected Devices, FMI Estimates" to its huge collection of research reports. Future Market Insights (FMI), in its recent report titled “Global IoE (Internet of Everything) Market – Market Analysis and Opportunity Assessment, 2014–2020” indicates that the global IoE market is expected to grow at a significant CAGR of 16.4% during the forecast period. Vineet Kumar, a consultant at FMI, said, “Proliferation of connected devices, increased technology budgets by leading countries such as Finland and Singapore, and rising uptake of ICT goods, particularly in the Asia-Pacific region, will accelerate the growth of the global IoE market. Further, explosion of big data and a growing need for enhanced customer experience in public, telecom and media, and banking, financial services and insurance (BFSI) sectors are likely to increase the adoption of IoE solutions and technology in the near future”. This report includes two segments, namely, business to business (B2B) IoE components and IoE verticals. B2B IoE components are further sub-segmented into intelligent systems, infrastructure enablement spending, and services enablement spending. Among all the aforementioned sub-segments, intelligent systems accounted for more than 80% of the global IoE market share in 2013; however, this is expected to decrease by 620 BPS by 2020. The global IoE market can also be segmented into consumer and B2B verticals. IoE B2B segment growth is 1.1 times of the IoE consumer segment’s CAGR in 2020. This report also covers eight types of B2B IoE verticals in the global IoE market. Among the B2B IoE verticals, manufacturing and public sectors dominated with over 50% share of the global market in 2013. However, the healthcare sector is anticipated to exhibit the fastest CAGR of 20.6% during the forecast period, followed by the utility sector. Improved eHealth delivery has contributed to the increased uptake of IoE solutions in the healthcare sector. Region-wise, North America dominated the market with over one-third share of the overall IoE market, followed by Western Europe, in 2013. However, among all the regions, the IoE market in Asia-Pacific is expected to grow at a considerable CAGR of over 18% during the forecast period. IoE market growth in Asia-Pacific is mainly driven by increased investment in smart cities and smart grid initiatives by the governments of India, China and Japan. “Ongoing advances in ICT and embedded systems have given rise to a new disruptive technology: the Internet of Everything (IoE), which is transforming businesses in all aspects,” Vineet Kumar added. Major participants in the global IoE market continue to focus on acquisitions and partnerships in order to enter new markets and strengthen their existing product portfolio. Some of the top players in global IoE market are Cisco Systems Inc., Samsung Electronics Co. Ltd., IBM Corporation, Apple Inc. and Accenture Inc. These top players accounted for over 50% market share in 2013. Future Market Insights (FMI) is a leading market intelligence and consulting firm. We deliver syndicated research reports, custom research reports and consulting services which are personalized in nature. FMI delivers a complete packaged solution, which combines current market intelligence, statistical anecdotes, technology inputs, valuable growth insights, aerial view of the competitive framework and future market trends.